The Indie Game Festival used to be a revered and illustrious way to help promote and establish prominence for up-and-coming developers within the independent sector of game design. Recently, the image has become tainted and mired in an intricate web of perceived corruption and the idea that entrants are no longer being treated as fairly as they should. Following the original IGF scandal that was outed in early September of this year by internet super-sleuth CameraLady, the festival has come under all sorts of scrutiny. Things have been steadily escalating over the past few months as people have been questioning the judging process and the potential unethical dealings happening behind the scenes. This microscopic sifting eventually resulted in one of the judges of the IGF stepping out and making the following comments on Twitter. The comments caused a lot of people to react negatively, given that Mattie Brice is a judge on the IGF panel, even causing some to go as far as to e-mail developers and IGF sponsors, to let them know about comments like the ones above, which some have labeled as “hate speech”. However, the official IGF Twitter account was quick to get involved to make it known that Brice was just joking. 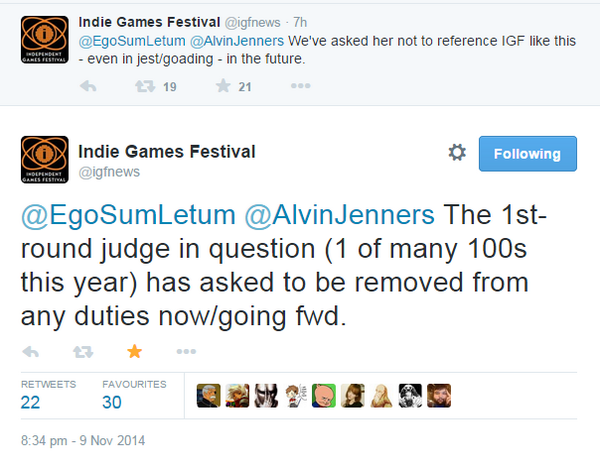 The Indie Games Festival account posted the following statements. That’s right. Upon being reproached for making jokes about the IGF judging processing, Brice supposedly made the choice of being recused from the IGF judging process (Note: It’s also being rumored by Christina Love, via Ralph Retort, that the IGF may have had Brice removed from the judge’s panel). The IGF received a lot of vitriol over their decision to challenge Brice on those comments, even getting GDC general manager Meggan Scavio to step in and explain why the IGF had to address Brice. 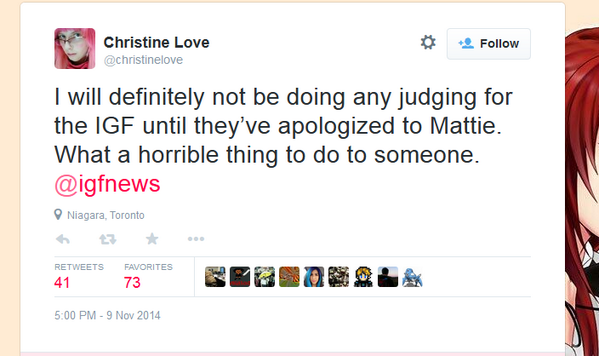 This caught the ire of certain other judges who are prominent figures within the indie circle, such as Christine Love, making the following statements. 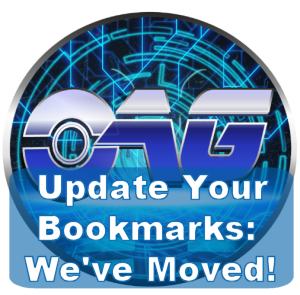 “...we have always and continue to firmly believe that any individual judge should be able to fully express their own opinions and beliefs on any individual game, whether about its aesthetic, mechanical, narrative, or implicit or explicit political content. The IGF wasn’t entirely off the hook following the apology for addressing Brice about the comments that some members of the gaming community found offensive to the judging process of the IGF. 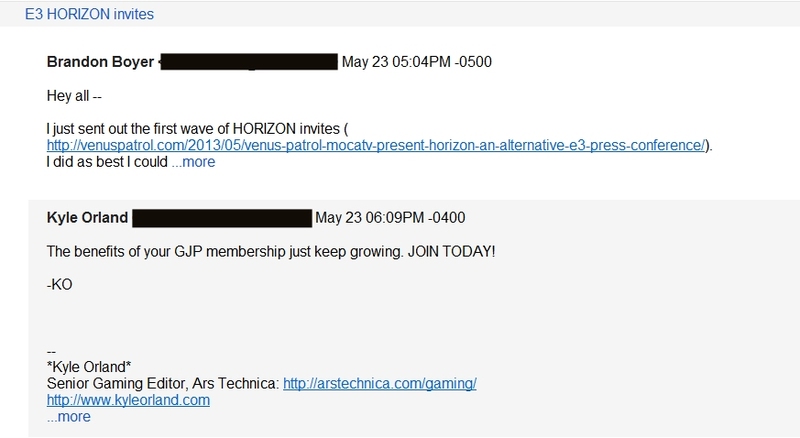 Following Breitbart’s leak of the Game Journo Pros e-mail list – the same group that has been implicated in the firing and blacklisting of journalist Allistair Pinsof as well as orchestrating an agenda-driven narrative around #GamerGate coverage – it was revealed that one of the members on the list is current IGF chairman and former news editor for Gamasutra, Brandon Boyer. 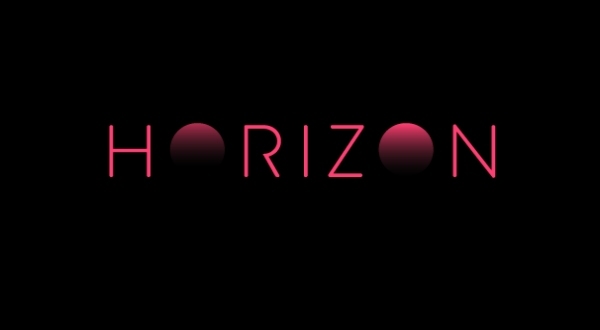 There was one e-mail that revealed that Boyer had offered members on the Game Journo Pros list access to the limited E3 Horizon event hosted by his own Venus Patrol outlet, where various games would be unveiled. Multiple sites covered the event, including The Financial Post, The Verge, Polygon, and even Rock, Paper, Shotgun… with a post written by fellow Game Journo Pros member, Nathan Grayson. Some of the games that were on display included Funomena, Sportsfriends, Doublefine Studios’ Broken Age and Polytron’s Fez 2. For those who don’t remember, Fez 2’s developer, Polytron, was also recently implicated as being a part of an alleged racketeering scheme in association with various indie festivals, including the IGF. The scandal received quite a bit of attention given that Brandon Boyer was allegedly having a relationship with the press representative for Silverstring Media, with the firm possibly attempting to have the games they represented take center stage at the festival. Misrepresenting in any manner the odds of winning any prize is prohibited. Representing directly or impliedly that the number of participants has been limited significantly, or that any particular person has been selected to win a prize, is prohibited unless that representation is accurate. All prizes of the value and type represented must be awarded and distributed. Rigging the IGF could be a clear violation of the Securities Exchange Commission regulations, as well as a breach of FTC guidelines. The committee of the IGF, however, released a statement to address those allegations, but with very little sway in their words to deter skeptics. Other individuals have also been critical of the IGF, including Chris Park from Arcen Games, as well as the developers of Super Meat Boy, who spoke at length about the judging process in a podcast. Additionally, Boyer came under fire for supporting the Patreon of Merritt Kopas, a game developer who was also a jury member for IGF 2014. Some individuals saw this as a potential conflict of interest. The recent release of the e-mail indicating Boyer’s activity on the Game Journo Pros list has sent the gaming community in a frenzy to ask why was Boyer on the list, how did he get on the list and what was his regular contributions to the list? I recently reached out to the IGF chairman for a statement on the matter, but at the time of the publishing of this article, he has not responded. Members of the Game Journo Pros such as Kyle Orland, Ben Kuchera and Kevin Kelly have yet to offer statements on being involved with Allistair Pinsof’s firing and blacklisting, or certain members of the group attempting to have Greg Tito shutdown discussion of #GamerGate on The Escapist forum. 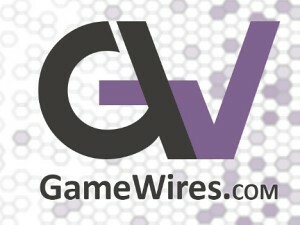 Additionally, issues of Nathan Grayson’s conflict of interests involving Robin Arnott have still gone unaddressed by Kotaku, as well as any sort of thorough investigation into the journalist who failed to report on EA being hacked, which resulted in 40,000 people having their personal data stolen.